The Suttas report that the Bodhisattva left home to become a wandering ascetic, and lived and practiced much like other wandering ascetics, until he rebelled against the prevailing wisdom, boldly plunged into his own way of doing things, … and succeeded. I think of the wandering ascetics as much like those of our contemporaries who engage in extreme sports or extreme dieting, performing wondrous feats like starving the body of all but the smallest crumb of nutrition. The Buddha’s was the Middle Way. This applied to meditation as well. The Suttas report that the Bodhisattva studied with two meditation masters and attained all of the jhanas (progressive state of meditative absorption) they could dream up until he decided, in his blend of frustration and daring, to let the child be master to the man, … and succeeded. We know little about what techniques the bodhisattva had learned, but presumably they entailed extreme states of concentration, starving the mind of all but the smallest crumb of experience through focusing the attention as narrowly as possible and stripping away any joy that this was in danger of bringing. Then the Bodhisattva remembered an experience he had had quite spontaneously under a rose-apple tree as a child. What he envisioned was something much more broad and giddy than what he had been taught as jhana. The Buddha is known for the habit of giving traditional vocabulary new meaning, as when he appropriated the brahmanic term “karma,” meaning ritual action, and but used it for volitional action. He continued to use the term term “jhana” for his new discovery, but there is some evidence that he also invented a new brand new word to be used alongside jhana. It has been observed that the term “samadhi” seems to occur nowhere in the literature of India before the Buddha (Walsh, The Long Discourses of the Buddha, p. 556), though it was subsequently appropriated in the Hindu literature. Now samadhi, or jhana, is not something the yogi does; it is a resultant quality of mind that arises through doing something else the yoga does do, primarily exercising mindfulness. For the wandering ascetic mindfulness would have been very primitive and direct: Just keep your attention in one place, don’t let it wander. For the Buddha mindfulness became something much more open, something that can be practiced throughout the day, while walking, when stretching limb, while eating, when defecating, or when sitting with crossed legs attending — in a relaxed way, mind you — to the breath. Virtue and wisdom also were incorporated in the Buddha’s method as necessary preconditions for the arising of Right Samadhi, a very rare and pure state of mind, at once still and keenly aware. 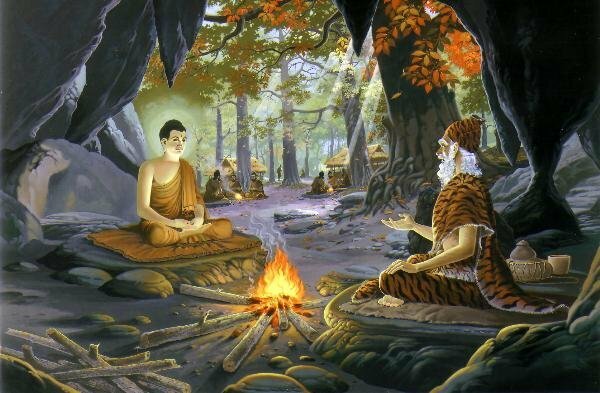 In the following weeks I will highlight the main features of the Buddha’s discovery. However given the daunting plethora of meditation techniques referred to last week, it is incumbent upon me to clarify how most reliably we can know what method or methods, exactly, the Buddha taught. We rely on a huge body texts presumed to have been spoken some 2,500 years ago, Scholars tell us that the texts that most clearly originated from the time of the Buddha are roughly the Vinaya, except for the final chapter, the first four Nikayas (the Digha, Majjhima, Samyutta and Anguttara, when I quote the suttas I generally use DN, MN, SN and AN to refer to these) and the Sitta Nipata of the Khuddhaka Nikaya. 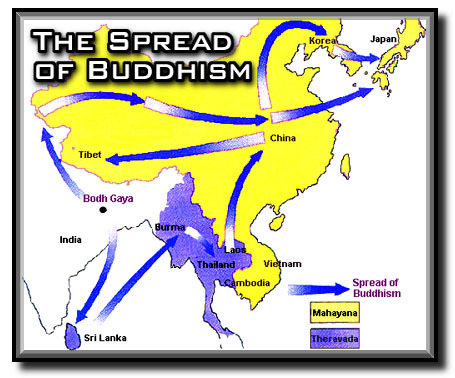 For all other Buddhist Buddhist scriptures an origin at least hundreds of years later has been reliably established. These later texts include most of the Khuddhaka Nikaya, such as the Jataka stories, the Abhidhamma and the Abhidharmas of various traditions, the Mahayana Sutras, and less controversally, the Pali commentaries and the Sanskrit shastras. Now, this does not mean that the later works are not authentic in the sense of accurately reflecting the intentions of the Buddha, only that they are less reliable than the earlier texts at determining what those original intentions are. Some of them are doubtlessly brilliant reflections of the the Buddha’s thought. But even the earlier texts are of questionable pedigree: They were committed to memory, then transmitted from generation to generation for hundreds of years, through recitation and memorization, before attaining written form. Then they were transmitted from scribe to scribe for many further hundreds of years before we arrive at the earliest extant copies of significant portions of the corpus that is available to scholars for examination today. Throughout this long period of oral and orthographic transmission these texts were undoubtedly subject to error, to intentional modification, to rewording, to insertion, deletion and rearrangement, certainly to embellishment, and even to wholesale incorporation of original new works of later composition. Linguistic vicissitudes further complicated matters of interpretation as these texts have been either translated into new languages along the way or preserved in long dead languages that the reciters and scribes could at best imperfectly understand. With so many sources of fuzziness, how do we know that any given teaching found in these ancient texts is authentic? How do you know that your gerbil is authentic and not just fur all the way? Luckily there are a number of additional factors that shore up our confidence in what we know of the Buddha’s teachings. First, there are separate transmissions of this early corpus which separated themselves geographically and linguistically at an early date and when compared can help identify what has been inserted, modified, deleted, and so on, over the centuries in one or the other transmission. 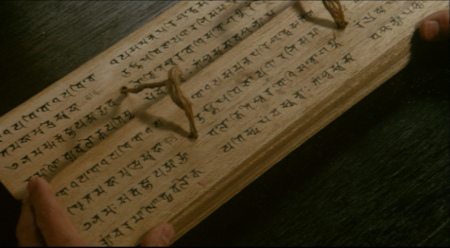 The most important versions of the early corpus are the Pali, preserved in Sri Lanka in something close to the language(s) of the Buddha, and the Chinese, originally maintained in Sanskrit in Northern India, but translated into Chinese before most of the Sanskrit texts were lost through historical circumstances. Reassuringly these two versions are in surprisingly close, but still not in perfect, agreement in all details. Techniques of text analysis developed particularly by biblical scholars provide further clues as to authentic and modified passages. Second, and probably most importantly, the yogi’s practice is not based on texts alone, but also on the experiences that arise through practice. The text is like a map, the experience like the terrain that the map purports to describe but which the yogi actually sets his feet in. Attention to both text (or at least words of a teacher) and experience are necessary, since one provides a check on the other. 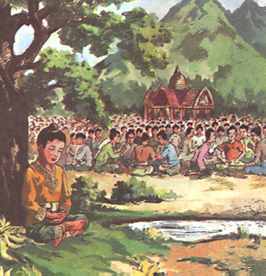 The text is easily subject to misinterpretation especially if it has been transmitted across time, culture and milieu, and experience is even more easily subject to misinterpretation as it is transmitted through the haze of the yogi’s own delusions, at least until he reaches higher levels of attainment. However, those parts of the map that cannot be made to accord with experience are quickly abandoned or rewritten in the yogi’s mind to bring them into line with experience. From an historical perspective, practitioners are likely have maintained the integrity of the texts. If most of the reciters and scribes that have transmitted the ancient texts to us over the generations were also practitioners we can expect that any mistransmissions will tend to have been quickly corrected to restore the original intention if not the letter, that there will have been a constant pressure to bring the texts into line with experience should they go astray. This empirical aspect of the Buddhist scriptures allows them to escape the Buddha’s own blind-leading-the-blind criticism of brahmanic scriptural tradition found in the Canki Sutta (MN95). I suspect that it is only when the reciters or scribes are pure scholar-monks, not yogis, for repeated generations, that the blind will lead the blind and the texts will begin to diverge alarmingly from their original intention. Third and finally, the ancient texts do not simply consist of a list of independent elements free to vary in any direction, but rather express a coherent and integrated system. The Buddha was a very systematic thinker and his genius shines through quite vividly and unmistakenly in this corpus in spite of any fuzziness. This is like a jigsaw puzzle in which all the pieces fit into place to reveal a particular scene. 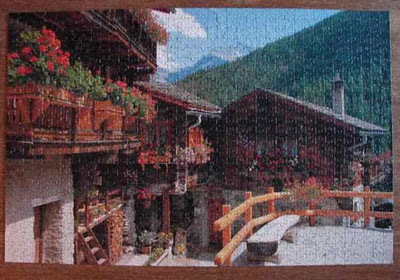 If at some point we clearly recognize the Golden Gate Bridge even with missing or left-over pieces, it is unlikely that some permutation of the pieces will reveal instead a Swiss village. Any extraneous pieces that do not fit in probably got mixed in from a different jigsaw puzzle that also got some of our pieces. Buddhist scholars can and do argue endlessly about the extraneous or missing pieces, even seeking out obscure passages to argue in favor of the Swiss village. There is no proof that they are wrong; but the shining forth of a coherent picture is darn compelling. My intention in the coming weeks is to describe what the Pali Suttas themselves seem rather directly to say, occasionally pointing out where inauthenticities (missing and left-over pieces) may have crept in, in order to reveal the coherent system present therein as something that maps reliably onto actual meditative experience. Although this interpretation is clearly recognized by many contemporary teachers, it is often confused or even rebutted by others. I hope that reference to to the Suttas, to the coherence of their most straight-forward interpretation, and to its reflection in meditative experience, will clear make clear what the Buddha actually taught. I will later show how confusion arises in the attempt to reconcile later variants, often no more than terminological variants coherent in themselves, of the Buddha’s teaching with the Suttas. This entry was posted on November 10, 2011 at 12:06 am and is filed under jhana, meditation, mindfulness. You can follow any responses to this entry through the RSS 2.0 feed. You can leave a response, or trackback from your own site. Once again it is a pleasure to have you back, and yes, it sounds quite reasonable and perhaps more significantly genuinely helpful. It reminds me of how different sections of DNA mutate at different rates. Those sections which are more or less unused, or at least not critical, will mutate over time, allowing a sort of “genetic clock” which biologists can use to tell how long ago two species diverged. Other sections of DNA, however, are the same, even between plants and animals, because they are so fundamental and important that any mutation is quickly eliminated by not being transmitted. So, you seem to suggest that the buddhist scriptures in question remained more or less unchanging, because they were used frequently. So yes, it sounds reasonable. I’m quite interested to hear what you have to say on this topic (as usual). Ross, Great analogy. 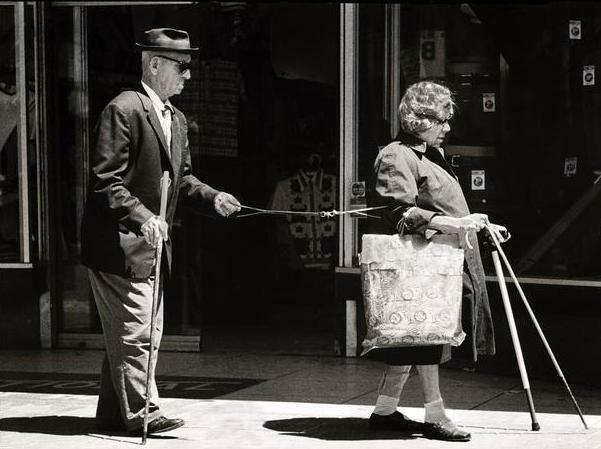 Species do not evolve with the randomness of mutation, but within the constraints of maintaining or enhancing functionality as mutations are tried out in experience. Fascinating post! I was not aware that the Chinese translations were considered one of the translations closest to the original Suttas. I shall be reading future posts with great interest. thank you for this post Bhante. I’m looking forward to reading more!